VPN in Qatar removes internet filters and allows to access favorite websites, VoIP services and social networks. With a VPN in Qatar you are browsing Internet privately and anonymously. 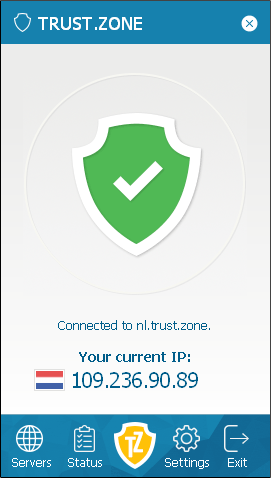 Your IP address is replaced by IP of Trust.Zone VPN service. VPN allows you to appear to log on from a different location, outside Qatar, thus bypassing internet filters and limits in Qatar. No more censorship to use VoIP services, social networks and media.